A behind the scenes look at this past week’s Intro to Studio Lighting workshop! Students learned about all the basic lighting and into the more specific and advanced lighting techniques to step up the photo shoot skills. The students had plenty of time shooting our model with each of the lighting setups. 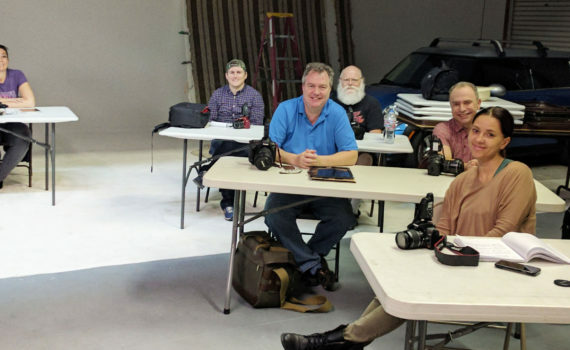 Our specialty workshops have smaller class sizes so each student has plenty of shooting time with the model to try out their new skills. In addition, the students have one-on-one time with the instructor to ensure their understanding of what their learning and to get their questions answered!